As long-time automotive journalists, we have driven a broad range of cars including everything from inexpensive subcompacts to big trucks to ultra-luxury sedans and sports cars. We even once tested a massive Caterpillar excavator, but that?s another story. Our most recent notable car wasn?t something that would stand out to the average driver, but for fans of rally-style cars this one is very special. 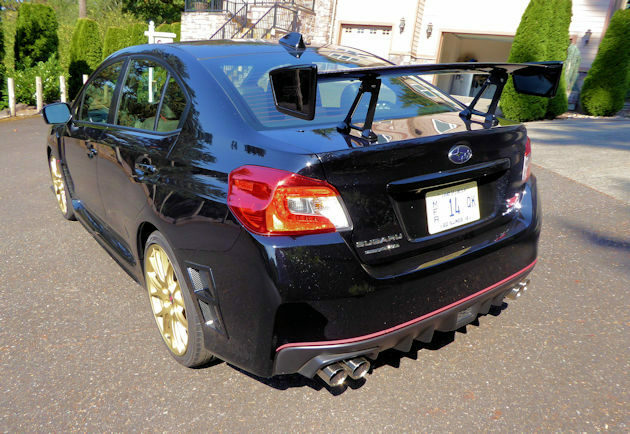 The compact black sedan wearing large golden wheels, a large carbon fiber spoiler wing mounted on the trunk and a shinny Type RA badge on the trunk lid is unique not only because it is one of only 500 being sold in the United States this year. 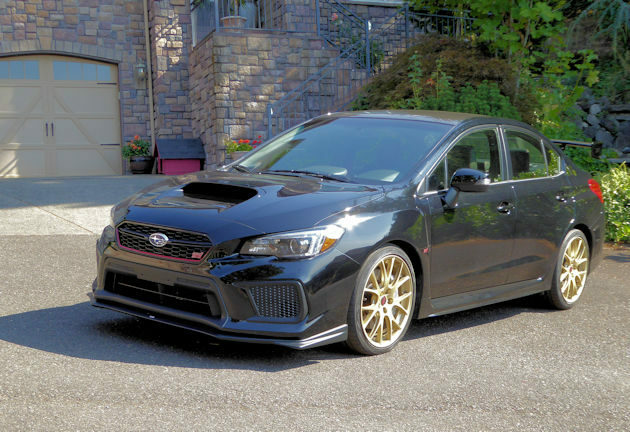 It?s also one of the most expensive Subaru?s ever sold in the U.S.
We?d never driven a Subaru with a base price of nearly $50,000, but the bottom line on the Sticker of the 2018 Subaru WRX STi RA is indeed $49,855. The name is a mouthful of letters, too. Spelled out, the acronyms translate to ?World Rally eXperiment?, ?Subaru Techina international?, ?Record Attempt?. 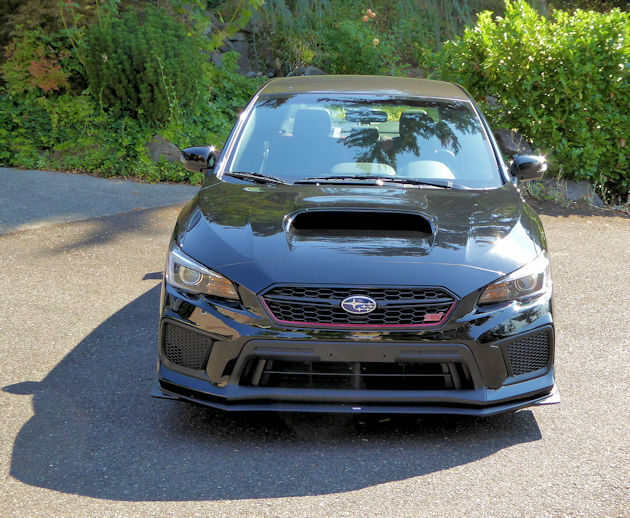 But it?s the RA designation alone that makes the final price jump of $12,400 more than the standard WRX STi. 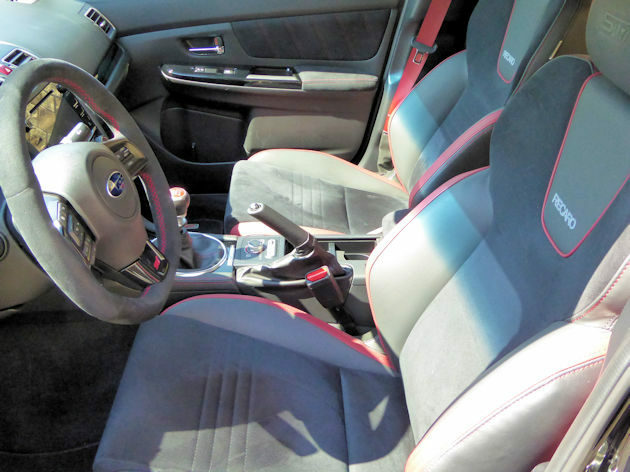 For an older couple, like us, the $12,400 extra charge for the RA version is not worth the extra price, but for Subaru lovers who have an almost a cult-like reverence for these cars, owning one puts you in an enviable exclusive position. Not only is it unique from its rarity, it is also a highly modified race car that is amazingly civilized. It could even be a daily driver. We think it?s easily the best STi ever. We remember driving earlier STi models which had a more ragged edge and were overly sensitive for our driving style. 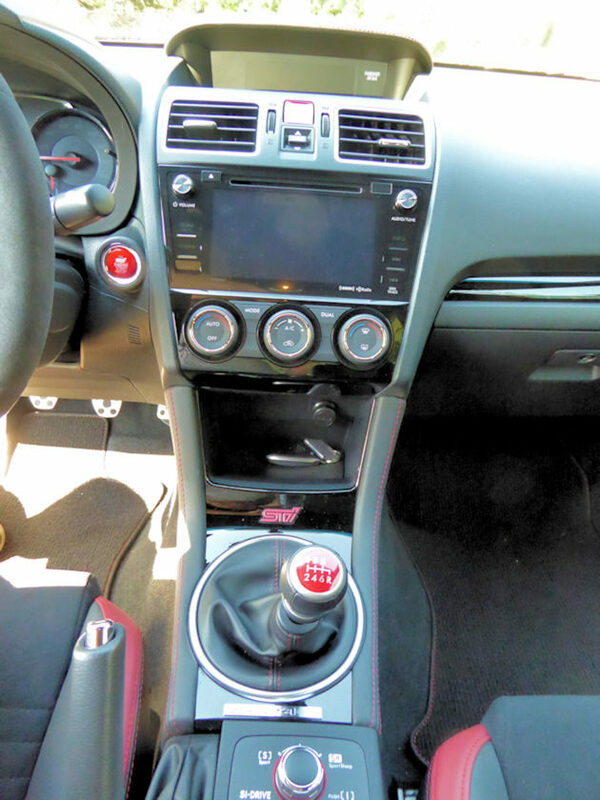 We often found them too difficult to drive smoothly in everyday driving situations and probably appeared to bystanders as new drivers to a manual transmission. The RA has a new level of performance, but it?s also quite refined and more fun for drivers like us. 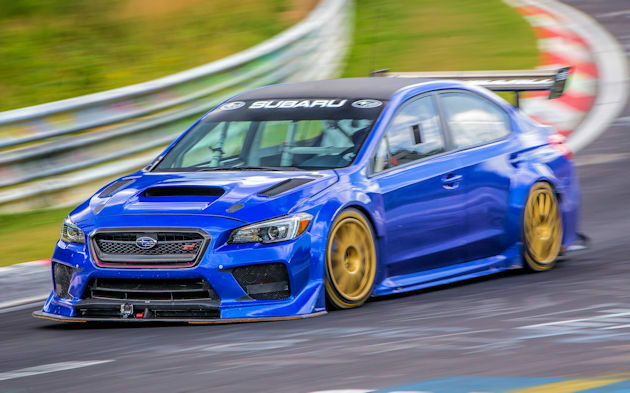 Subaru took to a specially prepared WRX STi Type RA NBR to Germany?s N?rburgring to attempt to set a record around the infamous 12.8-mile N?rburgring Northcliffe race track. (By the way the NBR stands for N?rburgring). At the time (July 2017) Subaru Product Communications manager Dominick Infante commented: “We brought the WRX STI Type RA NBR Special here to set a record and call attention to the WRX STI Type RA that we will launch later this year.? The custom-built Subaru ?Record Attempt? car did set a new official lap record for a four-door sedan at N?rburgring?6:57.5 minutes. To put that in perspective, that?s faster than cars like the Lamborghini Avanzado LP 750-4 Superveloce, Viper ACR-Extreme and Nissan GT-R Nissmo. That?s the fifth fastest time around the track that is ranked one of the most challenging in the world. To see a video of the record run, go to https://www.youtube.com/watch?v=ZPWSfzCfGJg . 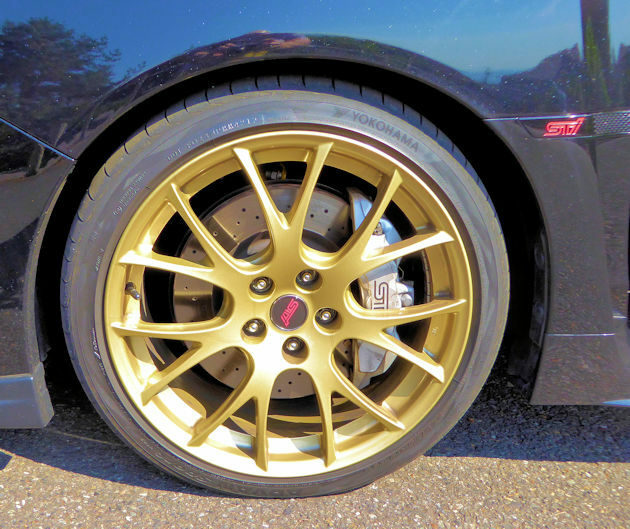 While none of the changes made to the type RA were major changes to the WRX STi, the little tweaks increased performance through suspension tuning, weight reduction and engine upgrades. The changes included the use of a carbon fiber roof panel, a carbon fiber pedestal wing, lightweight BBS? 19-inch forged alloy wheels and no spare tire. 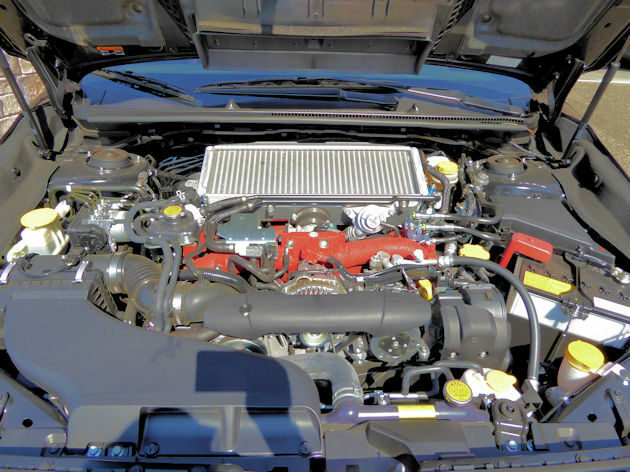 The horsepower was tweaked to 310 in the 2.5-liter turbocharged four-cylinder boxer engine by changing the cold air intake and new hi-flow exhaust. Handling was improved with inverted front struts and real double wishbone systems and Bilstein shocks. The engine drives all four wheels through a heavy duty six-speed manual transmission. Cosmetically, the RA gets an exclusive Cherry Blossom Red accent around both the front mesh grille and new rear bumper cover. An STi front under spoiler has also been added for better stability at high speeds. The exterior mirrors with integrated turn signals, a roof-mounted shark fin antenna and STi fender badges now come in a black finish. The rear deck lid displays the WRX STI Type RA badge. 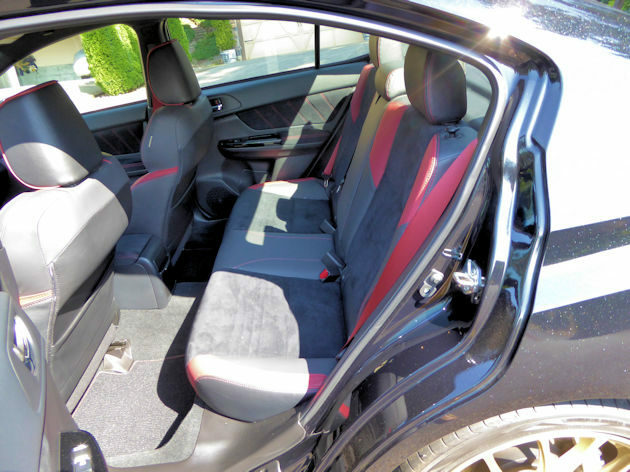 Inside the front seats are Recaro performance seats with red bolsters and Stitching along with an embossed STi logo on the head rests. The fat steering wheel is covered in Ultrasuede? for a better grip. And each of the 500 cars has an individual number on a plaque mounted on the center console. Buff magazine testing lists a 0 to 60 mph time of 5.3 seconds and a top speed of 159 mph. While this is far slower than the supercars, it?s a car that can be driven at unbelievable speeds on rocky forest roads with amazing control, something you wouldn?t want to attempt in a supercar. Very few cars can compete with this one on the back roads. Driver aids like Blind Spot Detection with Lane Change Assist and Real Cross Traffic Alert help make the RA a daily driver. Thicker door glass and improved door sealing, and a foam-filled windshield header help cut noise. There is also a new 37 percent larger multi-function display and an available Subaru Starlink? seven-inch Multimedia Plus System for infotainment, communications and the Tom Tom navigation system. A powertrain management system, Subaru Intelligent Drive (SI-DRIVE) allows the driver to tailor the vehicle driving dynamics by selecting from three modes ? Intelligent, Sport and Sport Sharp ? by twisting a rotary dial on the center console. SI-DRIVE alters vehicle performance characteristics by regulating the engine control module and by fine-tuning the electronic throttle control system. The Subaru WRX STi RA is not a car for everyone ? most people would prefer a Subaru Outback or the new larger Ascent SUV, but for those who want a special model that does fast very well, this is the car for you to aspire to.